We’ve seen this coming for a bit of time, but this is the first time we’re seeing it in the flesh. 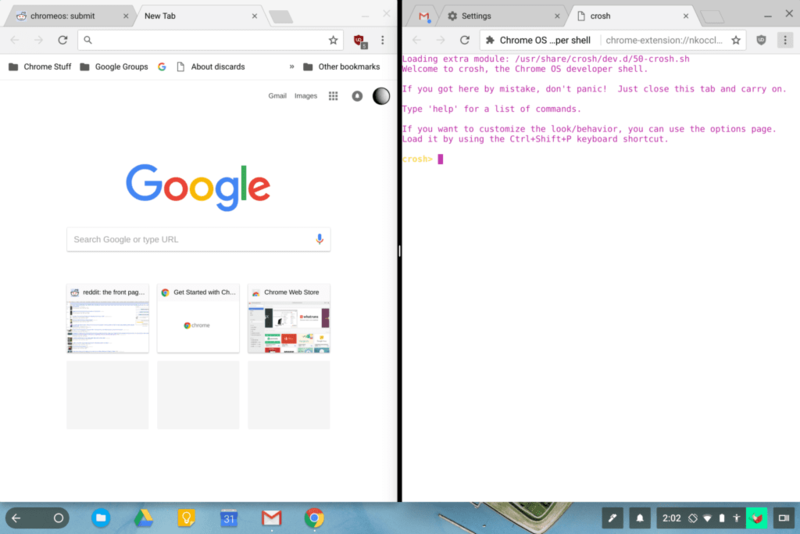 Thanks to a Google+ post by William Greene, we’re seeing a picture of side-by-side apps up and running on a Chromebook. In a few commits we simply haven’t shared up to this point, we’ve seen some work being done to the UI in reference to tablet mode and snapping windows. Without a ton of clues, here, we simply didn’t have enough to write a coherent article around what was actually being developed. While my suspicions told me that tablet mode would likely become something closer to what we see on Windows 10 tablet mode, we didn’t have proof until now. 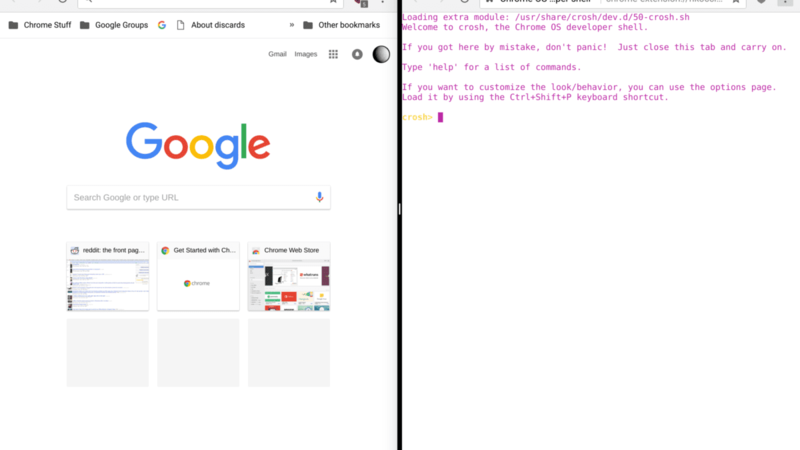 According to Mr. Greene’s post, this can be experimented with by enabling Developer Mode and manually enabling a flag by adding –enable-tablet-splitview. This is a command done via Crosh (Chrome OS Shell) and requires a bit of know-how. If you don’t know how to go about doing this, I’d recommend just waiting for the feature to make its way to your device. According to the post, once this is enabled, you can use the overlay button to see your open windows and simply drag the windows to whichever side you’d like the window snapped to. Referring to the image at the top of this post, it looks like there will be a draggable bar between windows (similar to Android or Windows 10) to resize the sides and their respective sizes. While not completely unexpected, this is clear evidence that Chromebooks and their tablet mode UI are getting some attention, and it is much-needed. With ‘Eve’ seemingly in the wings, these changes are very welcome.